This set is ideal for whittling and carving small figures such as animals or bird decoys. Use it also to create fine details on larger pieces. 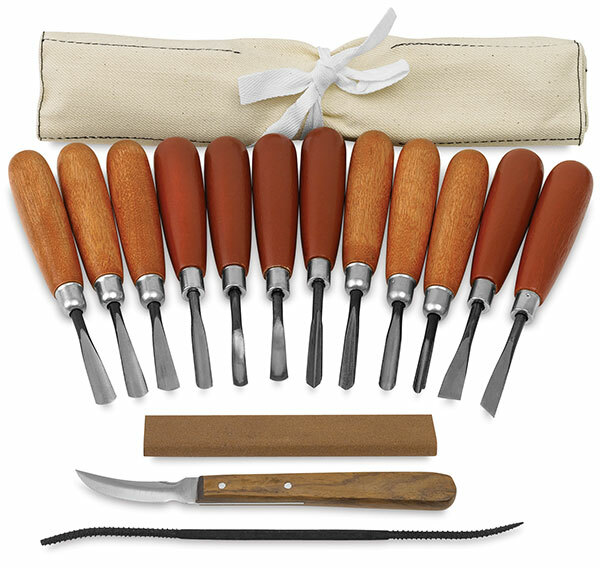 It includes 12 wood carving tools made of high carbon steel, plus a German/Austrian whittling knife, a handmade Italian rasp, and a sharpening stone. The entire set is housed in a canvas roll. ® Sculpture House is a registered trademark.